Gov. Dennis Daugaard has proclaimed 2014 as “Cultural Heritage Center Year” in South Dakota, in recognition of the center’s 25th anniversary. “The Cultural Heritage Center was built as the state of South Dakota’s lasting legacy project as part of the South Dakota centennial anniversary commemoration in 1989,” Gov. Daugaard noted in the proclamation, which he read to state legislators and others affiliated with the state Legislature at a reception on Thursday, Jan. 16, at the CHC. 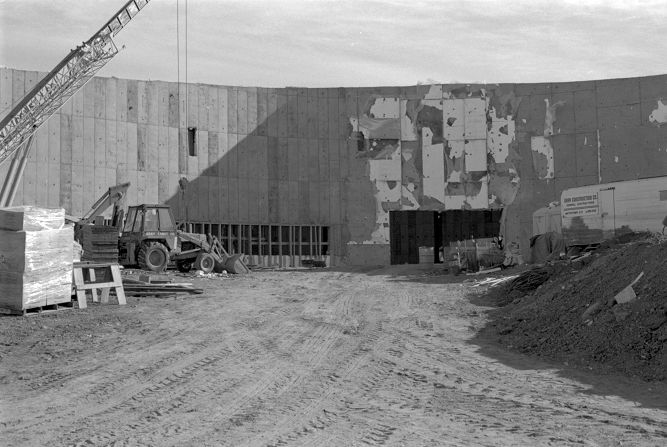 Construction of the earth-mounded CHC, designed to resemble an Arikara Indian earth lodge, began in Pierre in 1987 and was completed in early 1989. The center was officially dedicated in November 1989 to coincide with the state’s centennial. The CHC is headquarters of the South Dakota State Historical Society, a division of the state Department of Tourism. The center is perhaps best known for containing the society’s museum, but it also houses the society’s archives, historic preservation, publishing and administrative offices. About 35 people work in the building. At 63,000 square feet, it is the size of two football fields. During the reception, Gov. Daugaard also announced a free new smartphone feature the museum has that allows visitors to access new information about nine different artifacts on display. Museum hours of the CHC are 9 a.m.-4:30 p.m. CST Monday-Saturday and 1-4:30 p.m. on Sundays and most holidays. The museum is closed Thanksgiving, Christmas, New Year’s and Easter. Archives hours are 9 a.m.-4:30 p.m. Monday-Friday and the first Saturday of each month.